Town: Rural (4.6 miles from Virginia, IL) > Awesome country location! Price: $8,495 - Own this property with 20% down and $250/month! - UNDER CONTRACT! This property is one of the finest we have available. Located near the end of a private dead-end lane and set in a densely forested area, this property is very quiet and secluded. It would make a wonderful weekend getaway or place to build a home in the country! 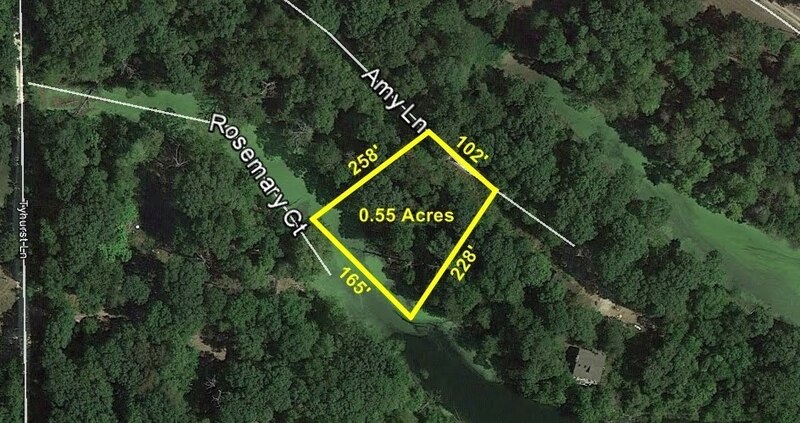 It has frontage on a 3.7 acre lake, providing fishing and boating opportunities. The property is loaded with trees that provide excellent shade. Electricity and water utilities available. 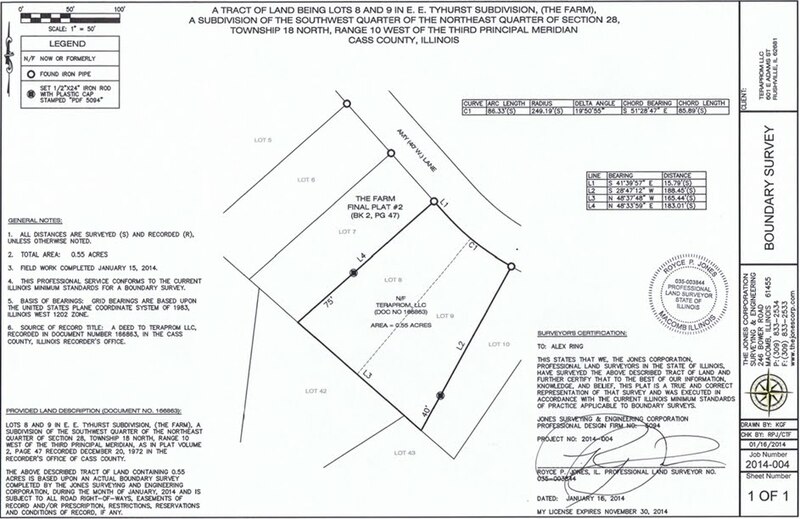 The property has been surveyed and the boundaries are marked with metal fence posts! If you have any questions at all about this property or would like to express interest in it, please fill out the incredibly easy to use form at the bottom of this page or email us directly at main@teraprom.com. As you can see from the pictures in the slideshow below, the Teraprom team has been busy clearing brush and beautifying the property so that it is ready for your use! The aerial image below was taken in July 2012 and shows the approximate boundaries of the property. Below is a copy of the survey of the property, which was completed on January 15, 2014. We can provide a larger copy of this by email upon request. Unlike many sellers of real estate, we are willing to work with buyers to find a financing solution that is affordable and meets your needs. You can purchase this property one of two ways. The first is with a cash offer, either with cash from savings or from a bank loan. The second is to get financing from us in the form of a contract-for-deed, which is a form of seller financing that helps buyers avoid the difficult and costly process of going through a bank to obtain a mortgage loan. The minimum requirements for this type of arrangement is: 1) a 20% downpayment; 2) monthly payments of at least $250; and 3) interest of 7.0% per year on the balance of the loan. Paying more per month would reduce the length of the financing and there are no penalties for paying it down early. Once the last payment has been made, the deed will be transferred to the buyer.